Hi gang! Just a heads up to say the next group meeting will take place on Monday Nov 26, 2018 7pm-9pm @ Starbucks Sai Kung. There will be NO GROUP MEETING IN DECEMBER due to the Christmas holiday. So the next group meeting after that will take place 7pm-9pm @ Starbucks Duddel Street Jan 26, 2019. 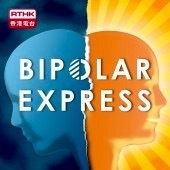 Don’t forget to let me know if you are happy to be added to the Bipolar Hong Kong WhatsApp Group when you reach out by email. Next Post Merry Christmas from Bipolar HK!